Very good connection via free Shuttlebus from Bydgoszcz to Torun. Great apartment. Very bright and spacious. Has a balcony. Right next to Dom Kopernika. Very good location. Does require climbing stairs to get to it, but well worth it. Beautiful apartment. Nice big airy rooms with a balcony! Great location ! It's right next to the center. The check-in was very quick. The apartment is quite spacious. Good location, very central. Spacious except the bathroom was small. Location. Room fitted our requirements. Fairly basic, but for the money, no complaints. The location is almost perfect (near to the bus stop and the old market, but on the quiet street). The only disadvantage of the place is that there no good grocery shop really close to the appartment. 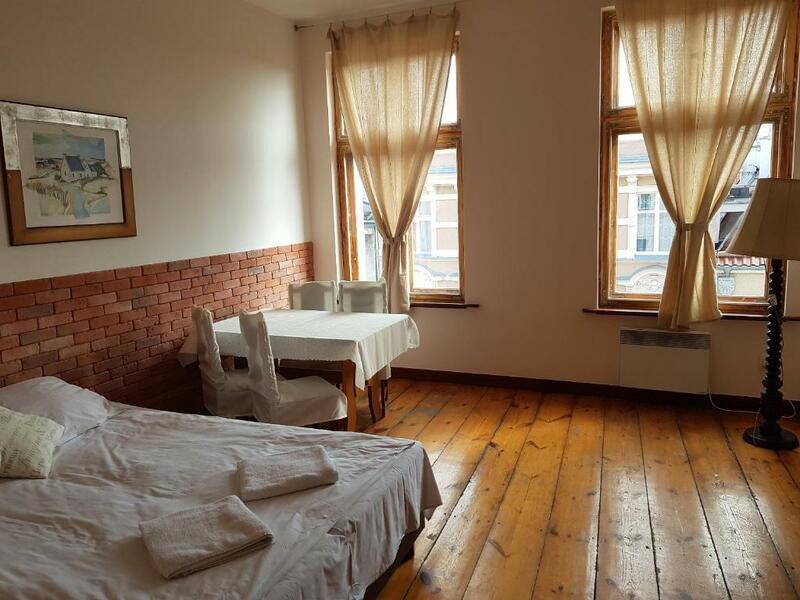 Very spacy rooms, large and comfortaple beds, basic but sufficient kitchen equipment, clean and tidy, wardrobes and chests of drawers to store your luggage/stuff. Easy key pick up and drop off. Great value for money. Property was in great location. Simple decor , clean with a good pricing. Very close to the center, nice balcony, all necessary equipment. The location was excellent- literally one minute walk to the Old Town Square. The wi-fi wokred well. The bedrooms were quite spacious. Despite the above I would not stay there again, even if it was free. 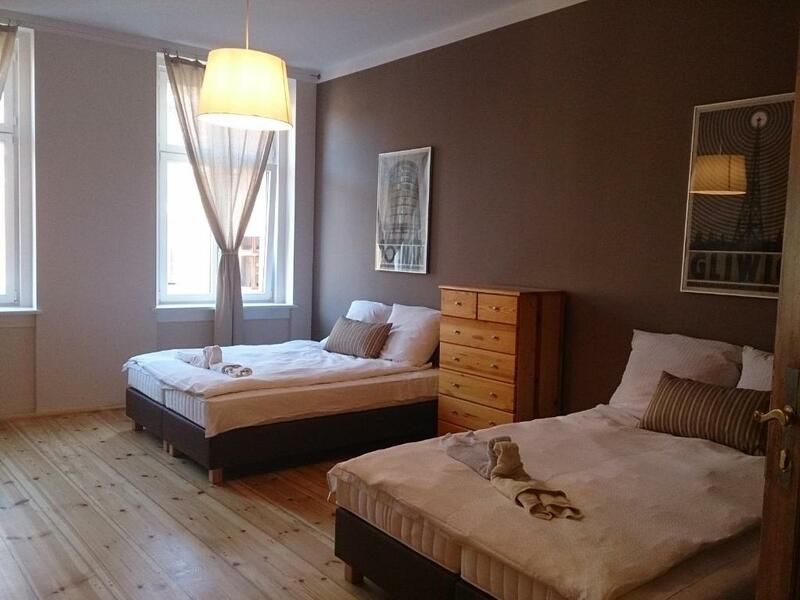 Lock in a great price for Apartamenty Kopernika – rated 8.1 by recent guests! One of our top picks in Toruń.Apartamenty Kopernika is located in Toruń, only a 2-minute walk from the Old Market Square. It offers spacious apartments with free internet connection and a fully equipped kitchenette with a dining area. Each apartment at Kopernika is located in a city house and features a bright living room with a sofa to relax in, as well as cable TV. There also is a washing machine and ironing facilities. 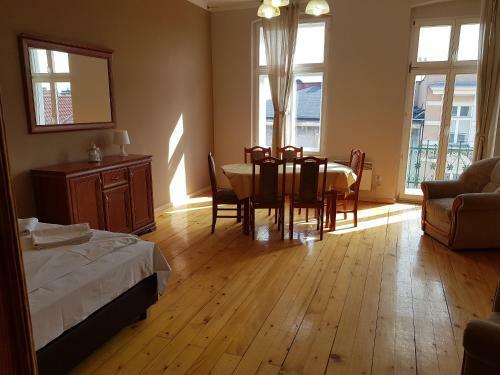 Apartamenty Kopernika are located a 3-minute walk from the Vistula River bank. Toruń Train Station is 0.9 mi away. Stare Miasto is a great choice for travelers interested in restaurants, architecture and atmosphere. 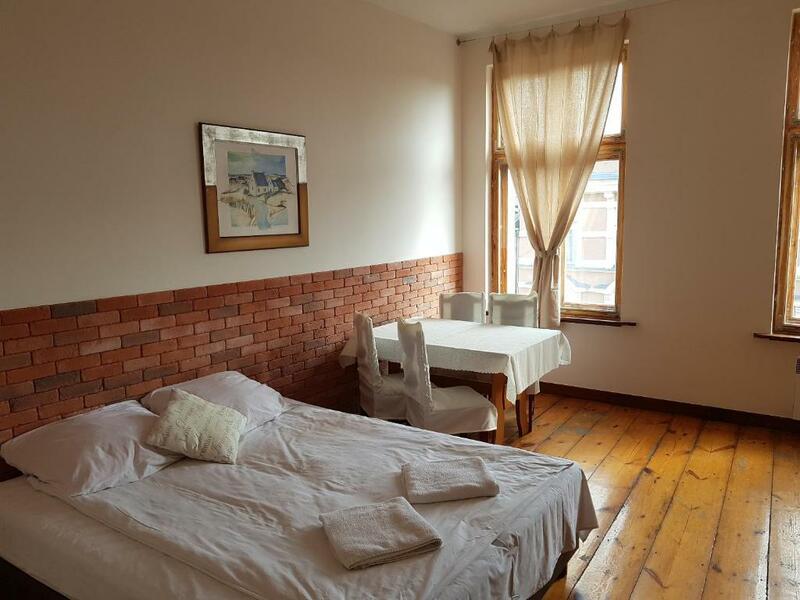 뀐 Located in the top-rated area in Toruń, this property has an excellent location score of 9.6! 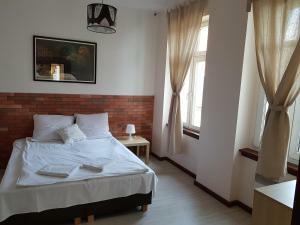 When would you like to stay at Apartamenty Kopernika? Features free Wi-Fi, cable TV and a fully equipped kitchenette. There is also a balcony and a bathroom with shower. Features a fully equipped kitchen, 2 rooms with cable TV. There is also a balcony. Spacious apartment with a kitchen. There is a bathroom with bath, as well as a dressing room. 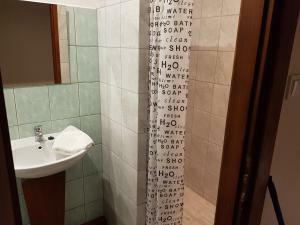 Two-room apartment with a kitchen and a bathroom with a hydro-massage shower cabin. Free internet is offered. 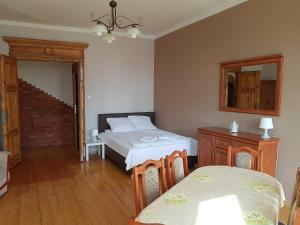 Spacious apartment with a well-equipped kitchen and a bathroom with shower. There is also cable TV and Wi-Fi. An apartment with free Wi-Fi, a TV with cable channels, a kitchen and a bathroom with a shower and free toiletries. 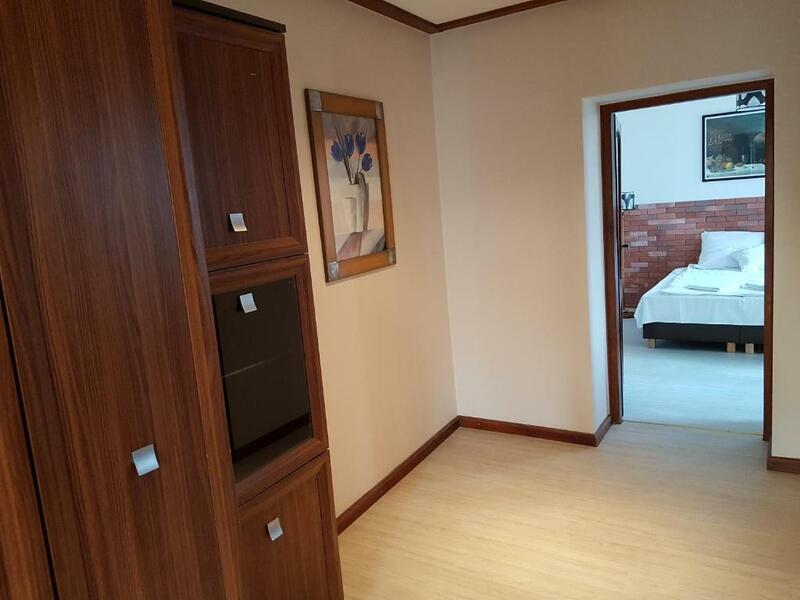 This apartment features a private entrance, electric kettle and kitchenette. This studio features a dining area, cable TV and private entrance. It offers a picturesque city view. Apartamenty Kopernika znajdują się w bardzo atrakcyjnej lokalizacji , zaledwie 100 m od Rynku Staromiejskiego, 230 m od Bulwaru Filadelfijskiego, 350 m od Planetarium, 200 m od Muzeum Piernika, 50 m od Domu Mikołaja Kopernika. W bliskim sąsiedztwie apartamentu znajduje się wiele sklepów, barów i restauracji. Area Info – This neighborhood is a great choice for travelers interested in restaurants, architecture and atmosphere – Check location Excellent location – show map Guests loved walking around the neighborhood! House Rules Apartamenty Kopernika takes special requests – add in the next step! Please let the Apartamenty Kopernika know your expected arrival time 1 day in advance. Please inform Apartamenty Kopernika of your expected arrival time in advance. You can use the Special Requests box when booking, or contact the property directly using the contact details in your confirmation. It was not possible to pay via Creditcard. The bank charges for transferring the deposit was to expensive (24 EUR). Very small sink in bathroom. Water leaking by the toilet, covered with rag. The water temperature in the shower was a bit unstable, jumping from warm to cold. The WiFi signal was not great. Partying at nearby apartment until 4:30 in the morning. Broken showerhead and water switched from burning hot to freezing cold and back again. Shower curtain was too short so water splashed all over the floor. Not enough bedding. Used a small duvet on a queen sized bed. Dodgy shower ... Head broken and leaked water on floor ... All needs renewing . Walls with holes and little dirty.. Time for a ‘ faceover ‘. Size and location. Comfort . - There were 88 stairs to the 4th floor apartment and no elevator! - The apartment was a bit run down: the bathroom door handle was broken. The bathroom sink did not drain well, very slow, it was clogged. The shower head was broken and did not hang on the wall so it was hard to shower. The washing machine drains to the sink in the bathroom - and overflows onto the floor. There was no plug in the sink. - Kitchen: had no toaster, the oven did not work. No cloths to wipe around the kitchen, just 1 drying-up cloth. - Bedrooms: no additional bedding or pillows - it was a little cool at night. - We were not given a receipt for cash payment on site to rent the apartment. - noise from the street at night. The furniture was a bit tired, the chairs weren't comfortable. It would be nice to have a cloth to wipe surfaces in the kitchen. A bottle opener wouldn't go a miss. Some of the crockery was chipped. In short better equipped kitchen is needed. The apartment was clean. The hosts were very flexible with arrival and leaving time. The location for sightseeing was exceptional. Good value for money. No elevator and a very narrow and steep staircase - not suitable for elderly, disabled and small kids. Tine bathroom. Pillows were all with feathers and I’m allergic to it. It’s old. Lots of things are loosen. No directions for operating the washing machine. No bowls. The stove and the shower can’t be used at the same time because the electricity is not stable. Old circuler and high stairs. Difficult to take suitcases to the top floors. High floor, steep stairs, no elevator. The place badly needs a renovation. No A/C. Only one trash can, in the kitchen (none in the bathroom). No shelves or hooks in the bathroom.